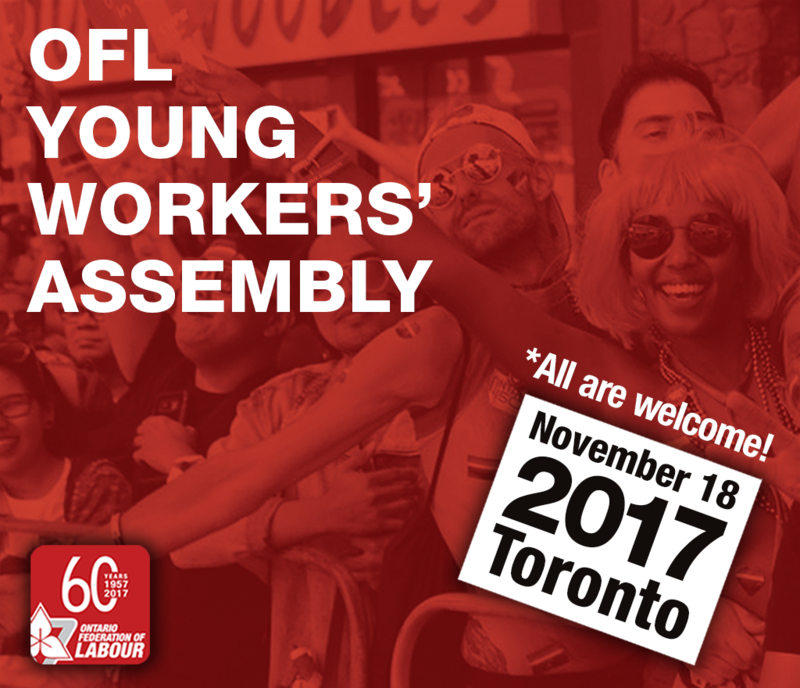 The Young Workers’ Assembly brought together activists from across Ontario on November 18, 2017. To see more photos from the event, click here. 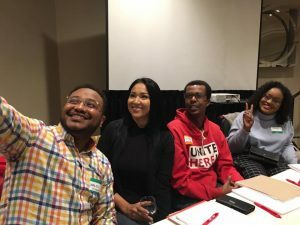 Over 100 workers from across Ontario attended the OFL Young Workers’ Assembly at the Sheraton Centre Toronto on November 18. Ontario Federation of Labour President Chris Buckley, opened the day with an inspiring welcome to the group. Assembly participants, working to Make It Fair and change labour and employment laws in Ontario. “We have governments in this country who are telling young people that they should simply accept precarious work, but we won’t accept that. You deserve better,” added Ontario Federation of Labour Executive Vice-President, Ahmad Gaied. 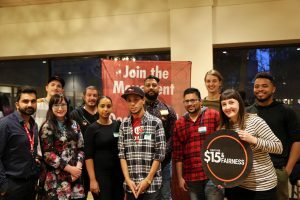 The day’s first panel discussed the Fight for $15 & Fairness and Make It Fair campaigns. Panelists highlighted the importance of organizing around issues like a higher minimum wage, and the power of workers rallying around a common goal. Lesley Jamieson, Kingston and District Labour Council, talked about the crucial role played by labour councils in organizing, as important meeting spaces for activists. “I look at all of you as not just activists and change-makers, but as educators.” said panelist Walied Khogali, Co-Founder of the Coalition Against White Supremacy and Islamophobia, during the panel on challenging white supremacy and Islamophobia. Hamilton City Councillor Matthew Green encouraged labour activists to work to support not just union members, but to seek justice and fairness for all. In addition to the great lineup of speakers and panelists, attendees participated in a variety of skills-building workshops and discussions offered throughout the day. To see pictures of the event click here, or download our App for iPhone, or Android.